Car accidents can leave you seriously injured and in physical and financial pain. The aftermath of an accident is sometimes stressful and you might find yourself feeling panicked. This is why many people find themselves looking for an Atlanta car accident lawyer. Contacting an attorney right after your auto accident doesn’t have to be your first step. In fact, there are some things we highly suggest you do first! Snap A Picture: You’ll want to get pictures of the accident– the damages done to the car, any other property, and the damages to yourself. Sometimes a laptop, phone, or other item will be damaged in the crash, so be careful to document all of these things! Auto Repair Estimate: Usually the insurance company will refer you to a body shop to get your car repaired, but just know that you’re allowed to go anywhere you want to get an estimate. Sometimes insurers are too eager to have you pick their suggested body shop, so perhaps shopping around a little will benefit you in the long run. Do I Need A Lawyer? : Sometimes an auto accident didn’t cause any damages, so investing in a lawyer would only lose you money. An attorney will also be honest about whether or not they believe your personal injury claim has a chance in court, so if you’re unsure, just sign up for a free consultation today! Police Report: You’ll want to order the police report from the police station. Different departments might have different procedures and fees associated with it. This is important to have because it will usually say who was at fault in the accident, and you’ll want to make sure they didn’t mess it up! Be Prepared: Before speaking with a lawyer, it’s best to gather as much information as possible. The police report, medical bills and consultations, contact information from witnesses, the address of the collision, and any documentation relating to the accident or damages. This is to help your Atlanta car accident lawyer best help you! If you’ve been seriously injured, a death has resulted from the car accident, the limits of your insurance liability are low, or your insurer involves their own attorney, we highly suggest contacting an Atlanta car accident lawyer. These are just a few examples of situations that could need the aid of an attorney. Now it’s just the matter of finding the right personal injury attorney for you! As you can probably tell, there are several different personal injury attorneys in Atlanta and most of them advertise their recently awarded damages, their number of years in practice, and how you’ll only have to pay them if they win. For the most part, we are all the same– we’re all knowledgeable and offer a way to get the compensation you deserve after your car accident. However, picking a lawyer after car accident is very important. 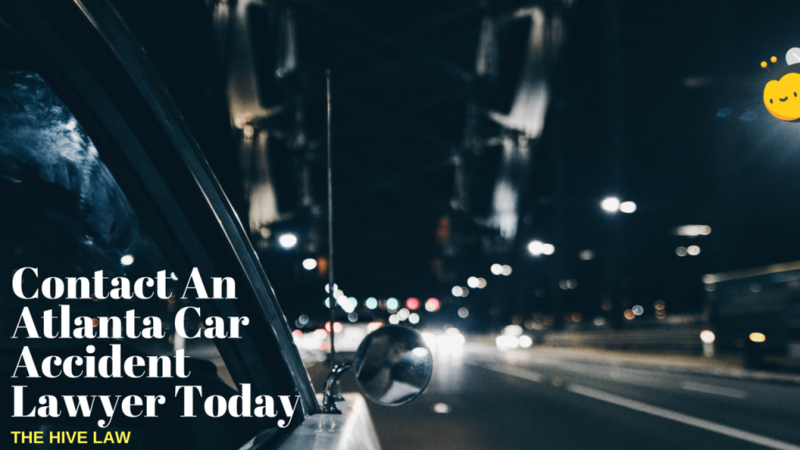 You’ll want to pick an Atlanta car accident lawyer who works well with you, communicates in a way that’s clear, someone that you can trust and feel comfortable with, and who understands the goal you’re trying to reach and will do their best to get you there. 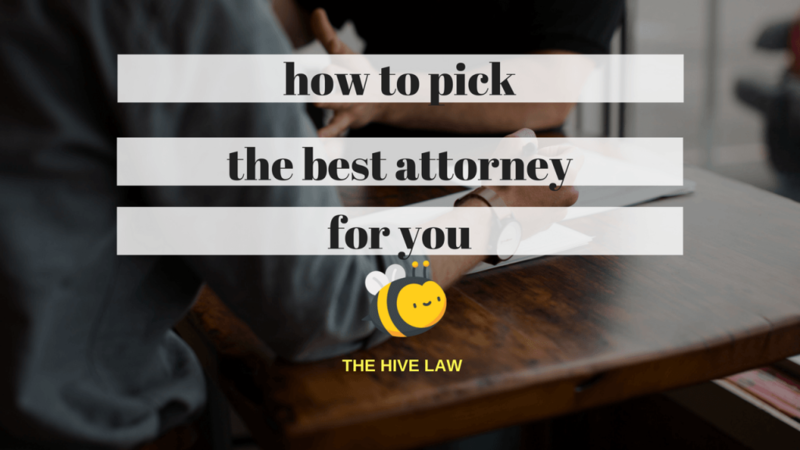 Finding a good match is very important and can make all the difference in your representation– when you like your lawyer, things tend to go smoother and accomplishing your goals seem easier! So if you want to meet with someone from The Hive Law today to see if we’re a match, fill out the form for your free and confidential consultation!